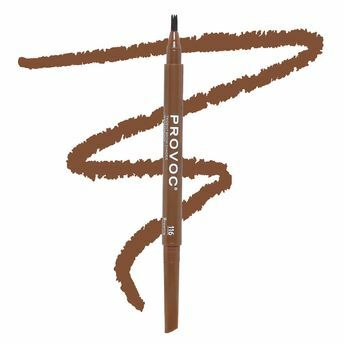 Create the perfect arch for your eyebrows with this Shader from Provoc. Silky smooth in texture, it helps defines your eye brows and gives a groomed look. The waterproof and smudge proof formulation enhances the appeal of your brows and brings about a subtle yet powerful transformation in your look. Explore the entire range of Eye Brow Enhancers available on Nykaa. Shop more Provoc products here.You can browse through the complete world of Provoc Eye Brow Enhancers .Alternatively, you can also find many more products from the Provoc Trident Brow Shader range.